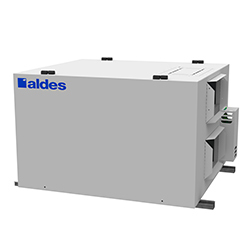 Aldes Light Commercial Energy Recovery Ventilators (ERV) provide up to 680 CFM of fresh outdoor air while exhausting stale indoor air. 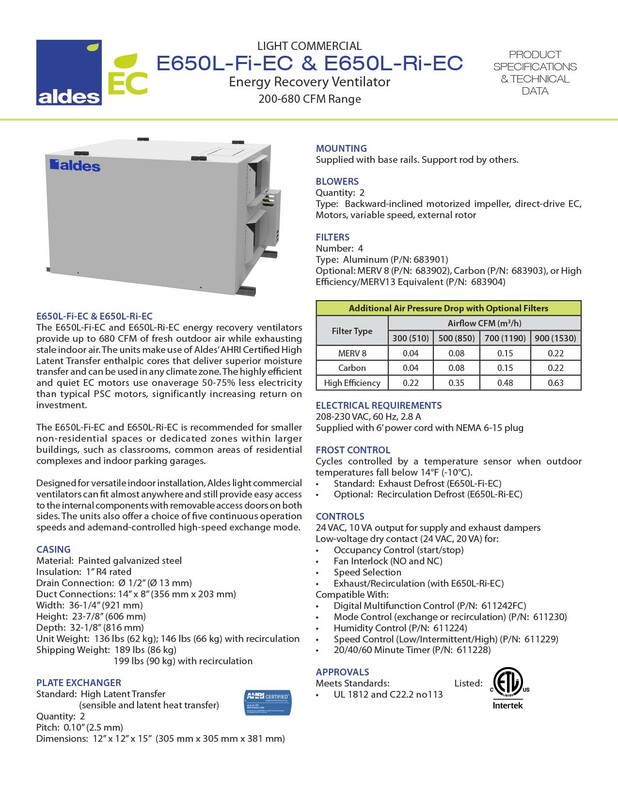 The units make use of Aldes’ AHRI Certified High Latent Transfer (HLT) enthalpic cores that deliver superior moisture transfer and can be used in any climate zone. The highly efficient and quiet EC motors use on average 50-75% less electricity than typical PSC motors, significantly increasing return on investment. The E650L-Fi-EC and E650L-Ri-EC is recommended for smaller non-residential spaces or dedicated zones within larger buildings, such as classrooms, common areas of residential complexes and indoor parking garages.